Drones are precise they say – they only target individuals that are a ‘threat’ to the particular domestic population. Yet what actually happens in the moments in between the strikes – to the mothers, children, taxi drivers, farmers, who live under the constant threat of surveillance and death? In my previous column, I examined how drones are a unique technological development that have exacerbated the asymmetric power dynamics of modern warfare. Here, I will consider the extent to which drones threaten and control the everyday behavior of the population living under their presence. 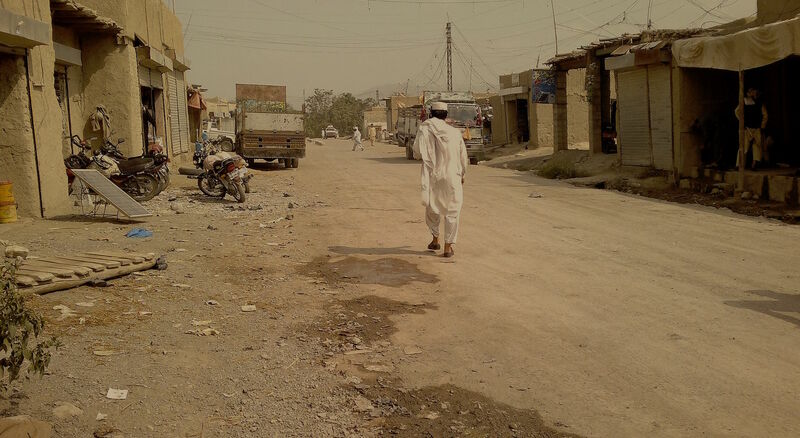 A study conducted by Stanford and New York University published in 2012 entitled Living Under Drones, examines the quotidian of those living in the Northwest region of Pakistan: FATA (Federally Administered Tribal Areas). Sharing a porous border with Afghanistan, FATA is a semi-autonomous territory, that has been subjected to a high frequency drone strikes. Under the Bush administration, the CIA carried out at least 52 drone strikes inside Pakistan, while under Obama’s leadership between 2009 and 2016, the number of strikes drastically increased to at least 375. The Stanford and NYU 2012 study, which conducted nearly 130 interviews with victims and witnesses of the strikes, as well as medical professionals, humanitarian workers, and local journalists, concluded that the drones triggered ubiquitous “fear, anxiety and stress” throughout the local population. The personal anecdotes are harrowing and profound, offering a rare glimpse into the ramifications of the drones on even the most seemingly banal activities. The emergent technology of drone warfare represents the synthesis of advanced disciplinary and regulatory mechanisms with the classical notion of the sovereign right to kill. Racism becomes the justification for the reconciliation between the indiscriminate acts of violence and anxiety directed at one population, and the bio-political ‘right’ of another society to develop and maintain its own security and quality of life. Foucault M. (1995) Discipline and Punish: The Birth of the Prison. New York: Vintage Books. Foucault M. (2004) Society Must Be Defended: Lectures at the College de France, 1975-76. London: Penguin Books. Shaw, I. (2013) Predator Empire: The Geopolitics of US Drone Warfare. Geopolitics, vol. 18 (3), pp. 536-559.
International Human Rights and Conflict Resolution Clinic at Stanford Law School and Global Justice Clinic at NYU School of Law, (2012) Living Under Drones: Death, Injury, and Trauma to Civilians from US Drone Practices in Pakistan. The Bureau of Investigative Journalism, Strikes in Pakistan.